No one ever said healthy eating was easy, but meal planning and delivery service Kettlebell Kitchen could be the closest thing to it. Since meal planning is confusing and time-intensive, Kettlebell Kitchen takes care of it for you, taking your fitness goals, dietary restrictions, and delivery frequency preferences into account. 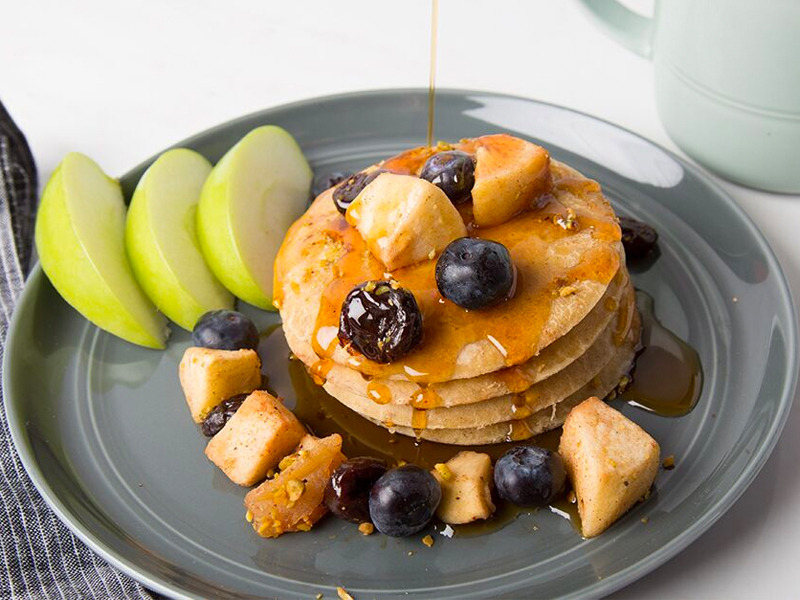 Each delicious meal is made with fresh, healthy ingredients and will run you $10 to $12. The meals can be delivered to your door or picked up at a participating gym in your area. We've all heard that abs are made in the kitchen and that the best way to supplement your fitness goals through food is meal planning. Sounds simple enough, but if you've ever tried it yourself, you know it's not: you spend a lot of time comparing contradictory nutrition tips, devising recipes you pray you won't get bored of, and cooking meals in bulk. Looking to eat well without the hassle of traditional meal planning, brothers and Army vets Joe and Andrew Lopez-Gallego teamed up with chef Greg Grossman (a young culinary talent who was once invited to cook at three Michelin-starred Alinea at the tender age of 13) to start healthy meal delivery service Kettlebell Kitchen in 2013. 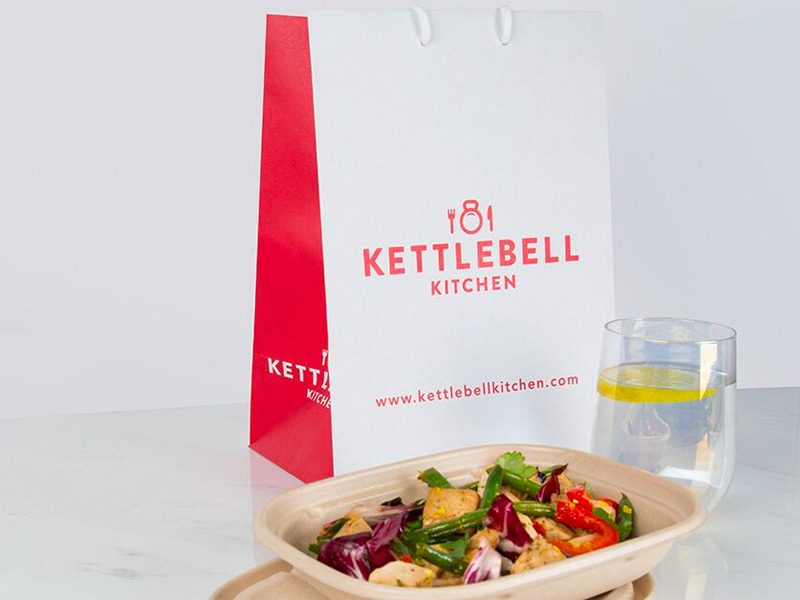 Tell Kettlebell Kitchen about your exercise habits, dietary preferences, and fitness goals, and it'll create a custom meal plan of breakfasts, lunches, and dinners for you and deliver them to your home or a participating gym near you. They don't contain any artificial ingredients or sweeteners, gluten, soy, dairy, or inflammatory oils, and they do contain fresh vegetables, grass-fed and pasture-raised beef, gluten-free grains, dairy-free milk, and limited amounts of sugar. The number and diversity of dishes offered ensures you'll actually look forward to eating your next meal instead of forcing it down out of necessity. I tried a few of the dishes, including its Popcorn Chicken meal and Lemon Cookie. They were easy to transport, were ready in minutes in the microwave, and tasted delicious. 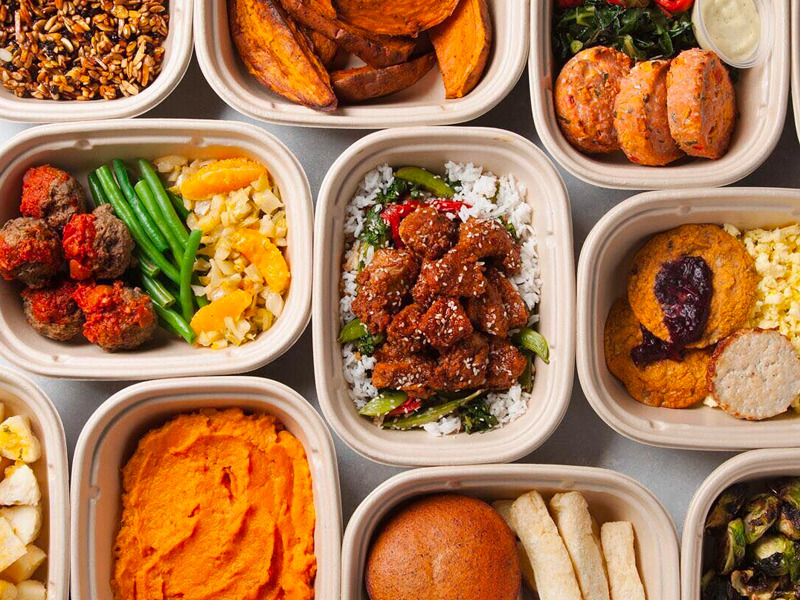 The idea that healthy foods don't taste good is clearly stuck in a less creative past, as I experienced previously with another service called Veestro, and now with Kettlebell Kitchen. There are new specials offered every week, and they'll differ based on your location. Specialized options include keto meals (e.g. Spicy Chicken & Pork Meatballs with Zucchini and Spaghetti Squash Noodles), vegetarian meals (e.g. Bamboo Rice Bibimbap), and "KBK Core" meals (e.g. Wild Salmon Cakes, Grass-Fed Steak, and Yucca). Your chosen plan will include these meals in various combinations, but you can also shop them a la carte. Depending on the meal delivery frequency you choose, the cost comes out to $10 to $12 a meal, and the meals are delivered twice a week. Kettlebell Kitchen currently offers 10 different meal plans. Some, like Whole30 and Pure Paleo, are ingredients-guided, while others, like Endure (for endurance-based sports like biking and swimming) and Build (to help you gain lean muscle mass) support specific types of physical activity and training. Once you choose a plan type and fill out your profile of body statistics, exercise habits, and dietary restrictions, the service takes seconds to make your plan. If you count calories, have a specific calorie target, or track macros, it will also take those preferences into account when designing your meal plan. On the dashboard, you'll still have the freedom to switch out meals and when you want to eat certain meals, so you're not completely tied to whatever Kettlebell Kitchen designs. However, if you're the type to keep things simple or you're just starting out on your fitness and health journey, you can trust that its nutritionists know what they're doing. A small shipping fee applies if you want to receive deliveries at your home or office, but there's also the option to pick them up at one of the company's many nationwide gym partners. Since you're likely to be working out at or near that gym anyway, it's a cheaper and convenient way to pick up your fuel for the week.